Shinju Matsuri is back! Another action-packed festival is ready to tempt senses with a whirlwind of colour, sound, taste and smell celebrating the Kimberley region and the people who call it home. We’re excited to again be the energy behind this popular WA event from 25 August to 2 September, when Broome’s glorious sunshine offers the perfect opportunity to leave the wintry weather behind for plenty of food and fun in our tropical north. Since 1971, Shinju Matsuri (Japanese for “Festival of the Pearl”) has been encouraging community spirit and celebrating Broome’s diverse culture – drawing on the area’s multicultural history as a world-renowned producer of South Sea pearls. This year, the festival will continue to offer sensory delights for locals and visitors alike – a kaleidoscope of events paying tribute to Broome’s heritage and culture. Kleenheat is proud to be the official Cooking Partner of the Pearl Harvest Yum Cha – hosted by celebrity chef Adam Liaw. 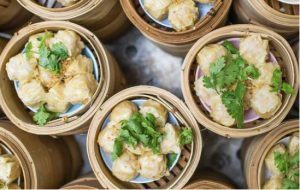 For one night only, Broome’s China Town will come alive with traditional food markets showcasing the finest Chinese cuisine from a collaboration of talented local chefs. Your ticket includes all you can eat Chinese delicacies – including a selection of dumplings, baos, wok noodle boxes and Chinese BBQ delights – with a cash bar also available for cocktails, wine, beer and soft drink while live music keeps you entertained. Dining experiences don’t come any better than this! 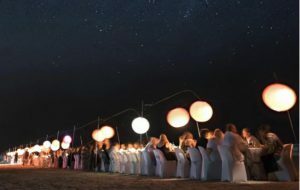 Shinju Matsuri’s Sunset Long Table Dinner is your opportunity to soak up stunning views of the world-famous Cable Beach, before enjoying a gourmet four course menu specially-designed by celebrity chefs Adam Liaw and Marion Grasby. Enjoy a glamorous welcome right on the beach, plus tantalising canapes and a selection of beers, wines and signature cocktails on arrival before you make your way to your Long Table seat. Grab your food buddy, friends or family for one of the most popular events on the Shinju Matsuri calendar. Be quick, tickets sell fast! 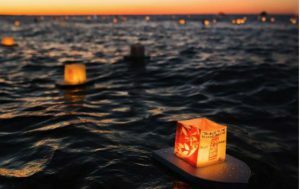 Send your own special message out to the universe at Floating Lantern Matsuri – returning in 2018 to release a glowing cluster of wishes, hopes and prayers out into the ocean sunset. This popular event embraces everything about life, love, peace and friendship. Whether your message is personal in memory of a lost loved one, a wish, or general words of encouragement for the world – put it on a lantern and watch it commence its peaceful journey on the evening tide. Exclusive: Kleenheat customers get an exclusive 15% discount on tickets to the Floating Lantern Matsuri. Get your discounted tickets here. Film buffs will revel in the Mud and Saltwater Short Film Fest – celebrating unique stories of the people, places and culture of the Kimberley area. From drama to documentaries and animation to music, creativity takes hold across five-minute films. 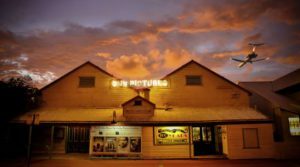 This year’s premiere is at Sun Pictures, the world’s longest running picture theatre, constructed in 1913 by the Yamsaki family and filled with stories of WA’s historic pearling region. 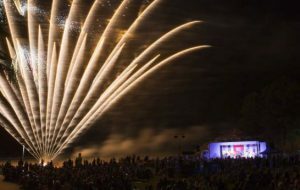 Settle in for a concert to celebrate the conclusion of Shinju Matsuri 2018 – including special performances from locally acclaimed artists and a dazzling display of fireworks to bring another big festival to an end. Pack a picnic or sample the delights from nearby food markets and enjoy a magical night under the stars. We’re delighted to again support Shinju Matsuri in 2018, helping celebrate everything wonderful about Broome’s location, people, culture and food. Visit their website for more information and to get your tickets.